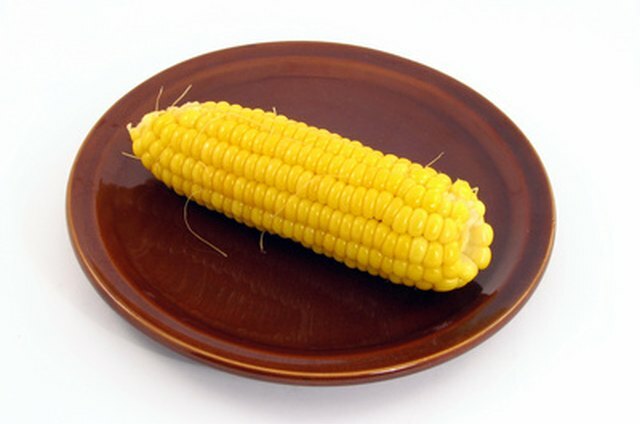 A fresh ear of corn can be a sweet treat that accompanies many meat-based meals such as lobster, steak or chicken. 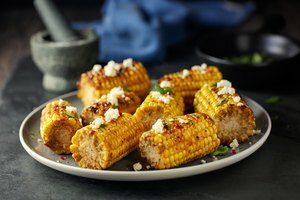 When eating alone you can avoid boiling a large pot of water for one lonely cob by using your microwave to cook your corn on the cob's kernels to perfection. This is also a suitable trick for frozen corn on the cob as well. 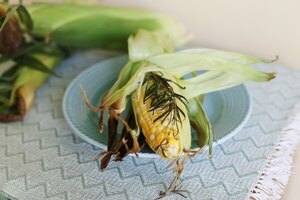 It allows the corn to go from the freezer to the table in mere minutes. Remove the husk and silks from the corn. Starting at the top of the corn, pull down on the outer green husk. You will reveal many silks, which are attached to the corn as well. Peel away and discard both the silks and the husk. Place the ear of corn in a plastic bag and seal. If the corn does not fit in the quart-size plastic bag, you can cut it in half. If you are microwaving a larger amount of corn, you may use the gallon-size plastic bags. Microwave the corn on the cob. Check your microwave manual for directions, but generally two to three minutes for one ear of corn and five to six minutes for two or more ears. Remove the corn from the microwave oven and open the plastic bag. Be careful of the steam coming out of the bag. 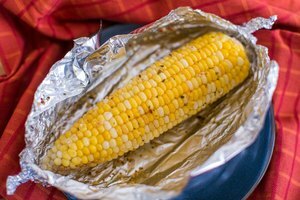 Remove the corn from the plastic bag using your tongs and set aside. Allow the corn to cool for five minutes before serving. Instead of plastic bags, you may use microwave safe plastic wrap as well. For another method, leave the corn in the husk and microwave. Then allow the corn to cool, and remove the husk after cooking. How Long Does It Take to Cook Fresh Sweet Corn?